Lake Country 2 Inch Pad Kit. The Lake Country 2" Kit Special comes with your choice of 4 pads and the corresponding backing plate. Use to polish in small and tightly contoured areas. 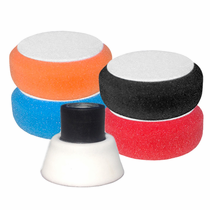 The Lake Country 2" Foam Pads are manufactured with the finest foam and tapered edges for safe and precision polishing. 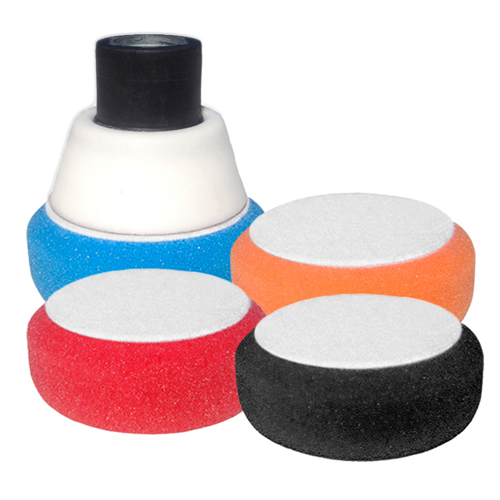 Works with any standard 5/8" rotary buffer. Use the rotary buffer extension for an extended reach in tight and distant areas or the drill adapter with an electric/cordless drill. Pads measure 2" on the back velcro, 2 1/4" on the front foam face and 2.5" in the middle part of the pad x 7/8" thickness.